PVIT is busy beyond belief with over 170 students experiencing this amazing engineering program. 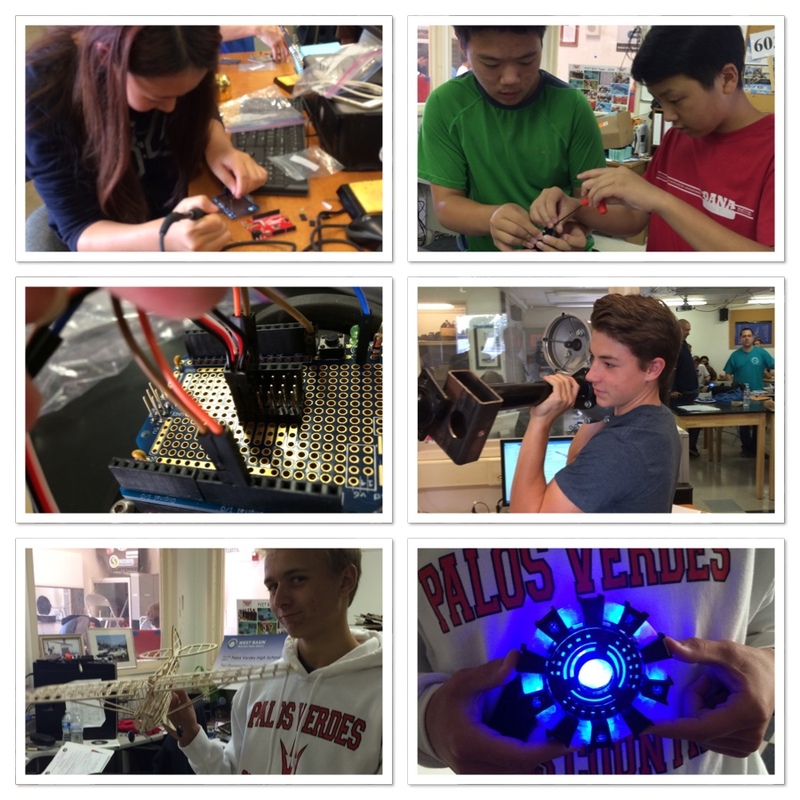 We realize how lucky we are to have such a rich learning environment at PV High when we hear of so many other high schools with little to no engineering program at all. Pictured: First-year PVIT students continue to build custom Sumobots (sumo robots), soldering electronics, programming Arduino boards, and laser-cutting chassis with dedicated world-class mentoring from George Kirkman of Rolling Robots and Pete Marshall. PVIT teams are making great progress designing and building for their projects and engineering competitions. Aerospace engineering students are just about ready to fly their balsa planes, and our 3D printer is back up and running — Tony Stark’s arc reactor was our test print!